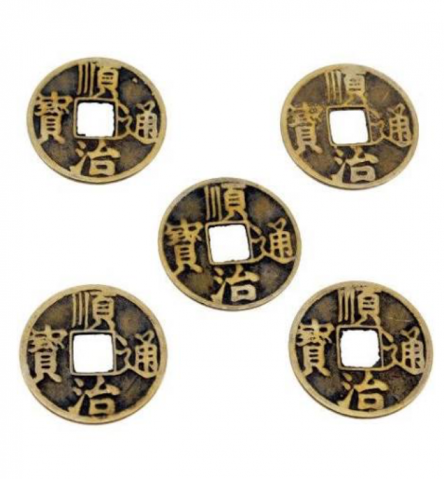 Feng Shui I-Ching coins (23 mm diameter each). Each coin is made of brass-based alloy. 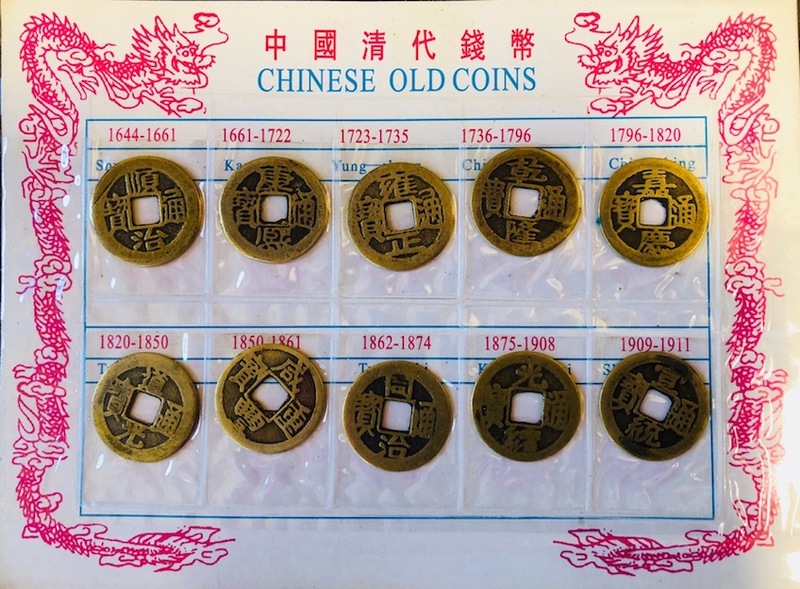 The set contains 10 Chinese Dynasty coins from 1644 to 1911. The metal coins can be used as Feng Shui remedies such as Salt Water Cure.